Fruity, frothy, and flavorful—that’s a good cup of bubble tea. 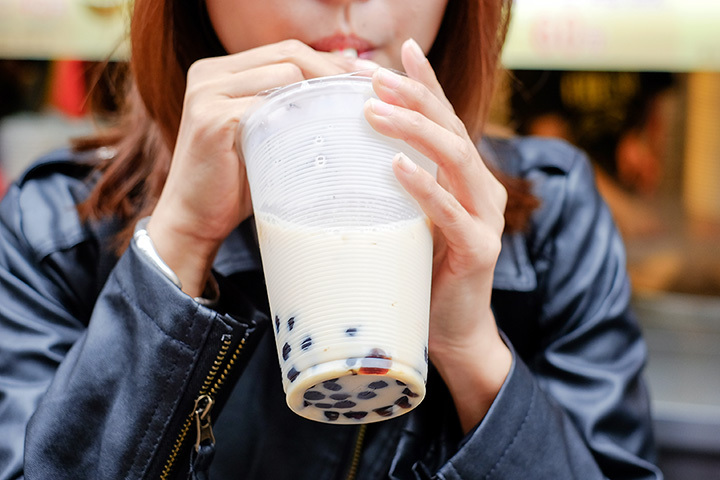 A Taiwanese beverage that combines iced tea with sweetened milk and “bubbles” made of tapioca, there are some that swear by this unique and delicious drink. Michigan's got plenty of places to land your next bubble tea, and here are 10 of the best. It's all right in the name, as Detroit Bubble Tea offers Detroit residents a place to get delicious bubble tea. Detroit Bubble Tea also offers their eponymous treat in a variety of different ways. Not only can you select your own starter flavor from cake batter to watermelon and a wide array of others—ever have a hibiscus bubble tea? You will here! But you'll also be able to get it in slushie form, iced tea, smoothie or milk tea formats, even hot or cold. Finally, pick your bubble of choice—tapioca don't do it for you? Try fruit juice or coconut jelly instead—and you'll have the complete picture right here. With locations in Ann Arbor and East Lansing, Bubble Island's specialty is, of course, bubble tea. It won't stop there, offering up a wide range of other items as well. Bubble Island has a string of “signature drinks” on hand to choose from, or for those who have exhausted the choices, there's a “create your own” version on hand that lets you build the drink of your choice from the ground up. There are even drinks that have nothing to do with bubble tea like the hot chai or the Calpico Cooler. Head to Kentwood to check out Cafe Boba, a place that focuses on one of bubble tea's lesser-known nicknames. It may be called Boba, but it's as bubble tea as it gets around here. You'll have just about all the choice you could ask for here, with bubbles added to smoothies, teas, and even Italian sodas to round out the package. You'll even be able to engage in flavor mixes here. Instead of stopping at just one, you can go all the way up to four. Soup, salad, and dumplings round out the options available. You, Me, and Bubble Tea gives its patrons a wide array of options, starting with the standard iced tea and going on from there. Two flavors come with the drink—feel free to be a purist and just have one, but strawberry-banana fans will be accommodated at no charge—and a string of add-ins are on hand to round out the type of bubble desired. There’s even a line of snacks known as “bubble buddies,” which complete the experience fully by giving your bubble tea some delicious accompaniment. At the brightly-decorated and cozy Kawaii Bubble Tea, know that you'll have access to around 400 different flavor combinations. How does that sound? Choose from yummy options like honeydew, matcha, red bean, strawberry, and more. Saugatuck is known for quite a bit, including its arts connections, but bubble tea is also on the list as exemplified by the Saugatuck Tea Company. Not only is bubble tea offered, but so too are the bubbles by which you can make your own at home. The Saugatuck Tea Company offers a dizzying array of teas, including white, green, black and chai. Throw in games, apparel, a tea club, and you’ve got a recipe for a great experience. Lucky Tea & Sushi in Grand Haven is an excellent addition to the little lakeside town. While you'll also be able to land yourself a sushi dinner here, Lucky Tea & Sushi also offers plenty of options in tea. Bubble tea is an especially prized offering here, and some unusual flavor combinations can be had. Ever wonder how peach and pineapple would go together? Try it here! A green honeydew tea, perhaps? Also on hand. Throw in several varieties of bubbles and the result is worth the stop. If you're already in Frankenmuth, then you know you've got a lot to see and do there already. But while there, hit the Pasty Haus for not only a shot of Michigan's famous treat, the pasty, but also some bubble tea. With a wide range of options in fruity, creamy, and special-tea, you'll have taste options for weeks out here. Flavors range from the simple of a peach tea with kiwi bubbles known as the “Pe-Wi” to the cranberry orange, starting with orange milk tea, then adding yogurt bubbles and cranberries. At ChocolaTea, pick your flavor of choice—from almond to watermelon—and add bubbles from several options. Once you've constructed your bubble tea of choice, now the fun part (or perhaps the hard part) begins—choosing one of the many side dishes, chocolates, soups or sandwiches to go with it. Once again Traverse City proves that they've got a little of everything, and their entry into the bubble tea stakes, Sugarkissed, is a perfect example of the “little bit of everything” school. Essentially, based on the current menus, Sugarkissed will offer up its complete range of iced tea as a potential bubble tea. That means just about everything from Almond Oolong to Honu Chai is on hand, with flavors and various bubble types to follow. It goes beyond that, of course—they've got a hot chocolate bar, for crying out loud. But for those who want bubble tea, you'll have it waiting right here.